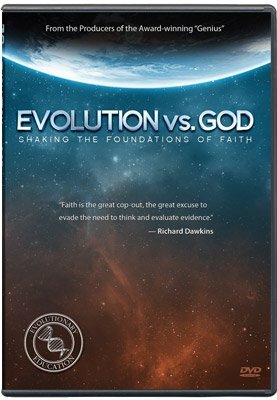 The point that should concern Christian parents and teachers is that only one worldview—a secular evolutionary worldview—is taught as if it were established fact, contrary to the actual requirements of the National Curriculum. In a previous issue,1 we looked at how science curricula in the United Kingdom sometimes require the teaching of evidence that supposedly supports evolution, even though it does not. Another problem with science syllabuses is that they require one-sided teaching in areas where rational creationist alternative views are readily available. Lerner argues that this attitude is contrary to the spirit of scientific enquiry. Although the Science National Curriculum of England is careful not to spell out support of the big bang, it still retains an evolutionary bias. The statements, as written in the National Curriculum (NC), do not imply a single hypothesis. 4.4d refers to “ideas” in the plural. So the word evolution, in the context of astrophysics, ought to be replaced by development. All aspects of science syllabuses should consider statement Sc1.1b, “how scientific controversies can arise from different ways of interpreting empirical evidence” (Item Sc1.1.4 in Wales). This item is usually only used with known contemporary controversies, such as the siting of wind farms or a discussion of global warming. Rarely is Sc1.1b invoked in the context of significant scientific disagreement. In statement OCR4.7.11, the writers of the syllabus allow facts to be confused with their presuppositions. They assume that the universe’s rate of expansion is constant—an unwarranted assumption. This statement allows for only one idea about the origin of the universe and is therefore not in line with the NC statement Sc4.4d, which calls for “ideas” (plural). Pupils are rarely taught that the big bang theory is controversial and that many secular scientists remain unconvinced by it. Statement OCR4.7.12 goes beyond the remit of a science syllabus, making an unscientific statement about the future of the universe. It is not possible for scientists to look into such matters, and the proposed “heat death” of the universe is in direct opposition to the teachings of the Bible. In the popular physics textbook5 by Keith Johnson, Physics for You, we can see how science educators regularly confuse fact with presupposition. In one sentence, Johnson has assumed that the rate of expansion can be measured accurately, that the rate of expansion has always been constant, and that the big bang actually happened. His readers are presented with this information as “fact”. Indeed, on the same page Johnson goes on to present models of the universe that actually require changes in the rate of expansion. Johnson uses a former exam question from the OCR board to get pupils to calculate how long light has travelled from a galaxy 1200 million light years away, receding at one-tenth of the speed of light (12 thousand million years, in case you are wondering!). He then asks, “What is the significance of this value? The significance is that it is the big bang theorists’ age for the universe.” The student is led to assume that they have calculated the age of the universe, when in fact the value is purely based on presuppositions. The scientists’ worldview clearly influences their interpretation of the data. 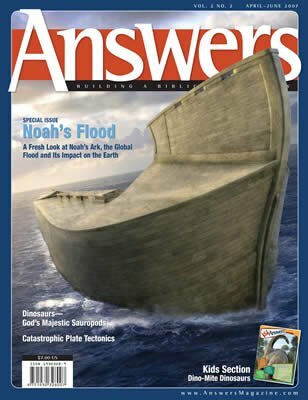 The point that should concern Christian parents and teachers is that only one worldview—a secular evolutionary worldview—is taught as if it were established fact, contrary to the actual requirements of the National Curriculum. This article is adapted from Paul F. Taylor’s recently published book, Truth, Lies and Science Education, by DayOne Publications. Taylor, P., An Examination of Error, Answers—UK edition 1(1), p. 30, 2006. Lerner, E.J. et al, An open letter to the scientific community, New Scientist, May 22, 2004. Science: The National Curriculum for England, QCA: 1999, p. 56. Similar statements are found in the Welsh document. OCR GCSE Double Award Linear Science, 2001, p. 67. Johnson, K., Physics for You, Nelson Thornes, 2001.